A man walking around wearing a paper bag on his head prompted a call to police. Police in Bangor, Maine, later took to social media to speak out in favour of tolerance after he was reported to the department. 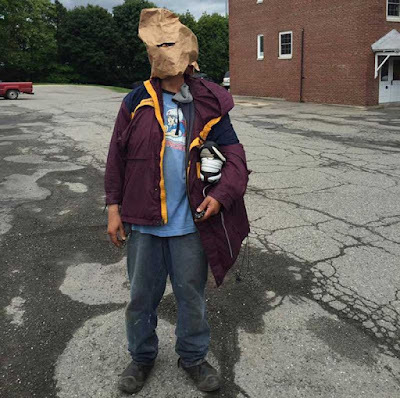 The unidentified man had been reported to them as being suspicious. They had a friendly conversation with him and it was determined that this is how the person wanted to walk around town. This particular method of concealing oneself is not illegal they said, but urged people to avoid banks and other businesses while wearing a bag on their head. There is a time and place for everything, they added. The Bangor Maine PD Facebook page is awesome. I love reading their posts.